Accenture solves clients' toughest challenges by providing services in strategy, consulting, digital, technology and operations. Accenture partners with over three-quarters of the Fortune Global 500 to drive innovation to improve the way the world works. With expertise across 120 countries in more than 40 industries and all business functions, Accenture delivers transformational outcomes for a demanding new digital world. Learn more about Accenture at http://www.accenture.com. brightONE provides services, solutions, and products around modern, secure and reliable communication for the connected world of today. Services include Car IT, Communications Network Solutions, Customer Experience, Testing Productivity Solutions, and Web Portal Solutions. Learn more about brightONE at http://www.brightone.de. Capgemini, with more than 190,000 people, is present in over 40 countries and celebrates its 50th Anniversary year in 2017. A global leader in consulting, technology, and outsourcing services including testing, the Group reported 2016 global revenues of €12.5B. Capgemini offers an array of integrated services that combine top-of-the-range technology with deep sector expertise. Learn more about Capgemini at http://www.capgemini.com. Expleo is a trusted partner for end-to-end, integrated engineering, quality services and management consulting for digital transformation. We help businesses harness unrelenting technological change to successfully deliver innovations that will help them gain a competitive advantage and improve the everyday lives of people around the globe. We operate in over 25 countries. Learn more about Expleo at https://expleogroup.com/. Fraunhofer is Europe’s largest application-oriented research organization. Their research efforts are geared entirely to people’s needs: health, security, communication, energy, and the environment. As a result, the work undertaken by researchers and developers has a significant impact on people’s lives. They shape technology, design products, improve methods and techniques, and open up new vistas. Learn more about Fraunhofer at http://www.fraunhofer.de/en.html. HCL Technologies is a $6.4B global leader in IT applications & infrastructure services across 32 countries. HCL is an innovative technology and outsourcing company that provides a unique blend of industry-specific, end-to-end solutions helping their clients meet today’s demanding product delivery challenges head-on. The world of software testing is changing and HCL is accelerating that change in order to equip businesses to better meet these new demands. Learn more about HCL at http://www.hcl.com. Hexaware is a fast-growing IT, BPO and consulting company. Their focus is to help customers Shrink IT to eliminate costs and improve delivery of commodity IT, using automation and technology. Transforming customer experience is at the heart of their Grow Digital strategy. Hexaware services customers in over two dozen languages, from every major time zone and every major regulatory zone. Their goal is to be the first IT services company in the world to have a 50% digital workforce. Learn more about Hexaware at http://www.hexaware.com. Hewlett Packard Enterprise helps customers use technology to slash the time it takes to turn ideas into value to help organizations of all sizes – from global enterprises to local startups – transition from traditional technology platforms to the IT systems of the future. HPE delivers high-quality, high-value products, consulting, and support services in a single package as one of its principal differentiators. Learn more about Hewlett Packard Enterprise at http://www.hpe.com. IBM is a premier global provider of testing services delivering a broad spectrum of flexible and comprehensive testing services based on vast testing expertise, industry skills, and advanced tools. IBM conducts thorough application and infrastructure testing using a proven, established process derived from the IBM Global Services Testing Methodology. IBM’s test consulting services help develop a strong internal testing competency by leveraging testing best practices, and can provide proven, repeatable roadmaps for achieving testing transformation. Learn more about IBM at http://www.ibm.com/. Ideabytes focuses on providing training and resources to evolve development in software testing units into the most productive and efficient units, and aids in ensuring the products meet time to market with the highest quality. Learn more about Ideabytes at http://ideabytes.in/. JK Technosoft’s strategic technology-backed solutions are designed to equip customer business with the competitive edge required. JK Tech specializes in delivering customized solutions using sustaining and next-generation disruptive technologies, such as with PEGA, across six major industries to ensure their customers’ business stays one step ahead of competition. Learn more about JK Technosoft at http://www.jktech.com. Mindtree delivers digital transformation and technology services enabling Global 2000 clients to outperform the competition. “Born digital,” Mindtree takes an agile, collaborative approach to creating customized solutions across the digital value chain. Their deep expertise in infrastructure and applications management helps optimize customers’ IT into a strategic asset. Learn more about Mindtree at http://www.mindtree.com. Softworx focuses on helping organizations using agile, SOA and other development methods increase developer productivity, improve quality of their code, and reduce the time to release projects. Based in Toronto, Canada, Softworx provides the software infrastructure to ensure customer organizations realize that success. Learn more about Softworx at http://www.softworx.ca. Sopra Steria, European leader in digital transformation, provides one of the most comprehensive portfolios of end to end service offerings in the market: Consulting, Systems Integration, Software Development, Infrastructure Management and Business Process Services. Sopra Steria is trusted by leading private and public organization’s to deliver successful transformation programs that address their most complex and critical business challenges. Combining high quality and performance services, added-value and innovation, Sopra Steria enables its clients to make the best use of information technology. Learn more about Sopra-Steria at http://www.soprasteria.com/en. 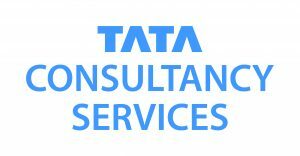 A part of the Tata group, India's largest multinational business group, TCS has over 394,000 of the world’s best-trained consultants in 46 countries. The company generated consolidated revenues of US $ 19.09 billion for year ended March 31, 2018 and is listed on the BSE (formerly Bombay Stock Exchange) and the NSE (National Stock Exchange) in India. For more information, visit us at www.tcs.com. Tech Mahindra represents the connected world, offering innovative and customer-centric information technology services and solutions that enable Enterprises, Associates, and the Society to Rise™. They are a USD 3.1 billion company with 89,000+ professionals across 51 countries, providing services to 629 global customers including Fortune 500 companies. Their Consulting, Enterprise and Telecom solutions provide platforms and reusable assets to connect a number of technologies to deliver tangible business value to all stakeholders. Learn more about TechMahindra at http://www.techmahindra.com. T-Systems, with a footprint in more than 20 countries, 46,000 employees, and total revenues of €8.2 billion (2015), is one of the world’s leading providers of information and communications technology (ICT). T-Systems offers a range of integrated solutions for business customers, including new business models and innovation projects for the business fields of the future. Learn more about T-Systems at http://www.t-systems.com. Verifysoft Technology is a privately held company located in Offenburg, Germany. The company was founded in 2003 by a group of investors and specialists from the software testing industry. Verifysoft Technology is committed to provide test productivity solutions that will help companies maintain and enhance their software applications. More than 400 customers in over 30 countries all over the world successfully use their technology. Learn more about Verifysoft at http://www.verifysoft.com/en.html.